This is not the best way to handle your retirement money. 1. Can I Rollover My 401(k) to a 529? 2. Do You Have to Pay Income Tax on a 401(k) Withdrawal? A hardship withdrawal and a rollover both involve taking money out of a retirement savings account. 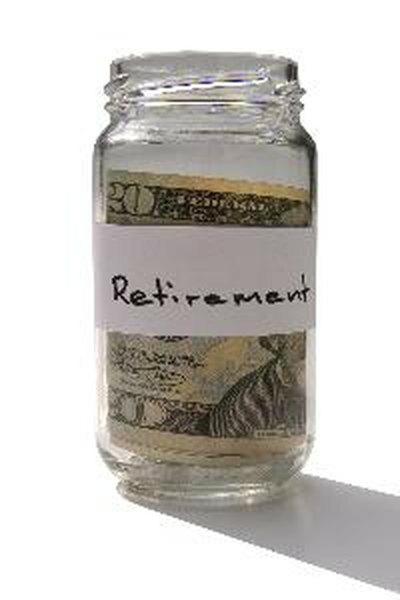 A withdrawal removes the money from your retirement plan and may involve some penalties. A rollover is a transfer of funds from one type of retirement program to another and can be accomplished without any tax penalty if the funds involved have the same tax considerations. Rolling over tax-deferred funds may require paying taxes. Traditional retirement plans are individual retirement accounts or 401(k) programs, called 403(b) or 457(b) for nonprofit and government employees. Money put into them is deducted from taxable income when it is contributed but is taxed when it is withdrawn. Funds withdrawn before age 59 1/2 are subject to federal income tax and, in most cases, a 10 percent penalty unless they are put into another similar retirement account. The Internal Revenue Service allows tax-free withdrawals in cases of hardship, defined as "immediate and heavy financial need of the employee." The retirement plan also must permit hardship withdrawals and provide specific criteria for what constitutes a hardship. Those can vary with the plan, created by an employer or the institution providing the IRA. The IRS generally allows hardship withdrawals for medical and funeral expenses, costs related to purchase, maintain or repair of a principal residence and educational fees and expenses. The account owner also has to prove there are no other resources available to meet the need. A hardship withdrawal of untaxed funds will be subject to taxes. Any penalty is up to the plan. A rollover or transfer from one IRA to another or from a 401(k) type plan to an IRA is not subject to taxes if made within 60 days. Taxes will be imposed when money is taken out at retirement or after age 59 1/2. A transfer from a traditional IRA or 401(k) to a Roth type is subject to tax, because the traditional plans allow for deduction of contributions from taxable income, while Roth plans use after-tax money. Roth plan withdrawals are treated differently. Individual contributions to those programs can be withdrawn at any time. Earnings also can be withdrawn tax-free after five years. Those rules apply to both IRAs and 401(k)-type savings under the Roth program. Roth 401(k) withdrawals, however, are subject to employer restrictions.